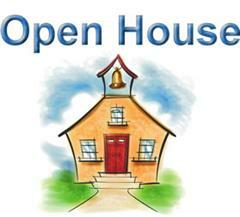 On behalf of the Nova Middle School faculty and staff, we would like to cordially invite you to our Open House on Monday, October 21, 2013 beginning at 17.00. At the event, you will have the opportunity to talk to your children’s teachers as well as with the Middle School Principal Mr. Robert Crutchfield and share your input on recent changes and the future direction of Nova Middle School. We look forward to seeing everyone on Monday, October 21, 2013 at 17.00!